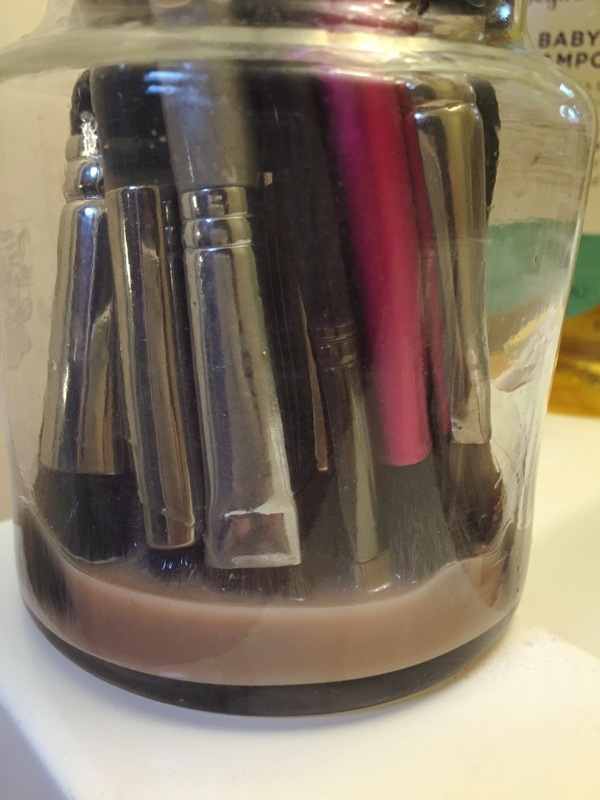 I often get asked “how often do you clean your brushes?”. 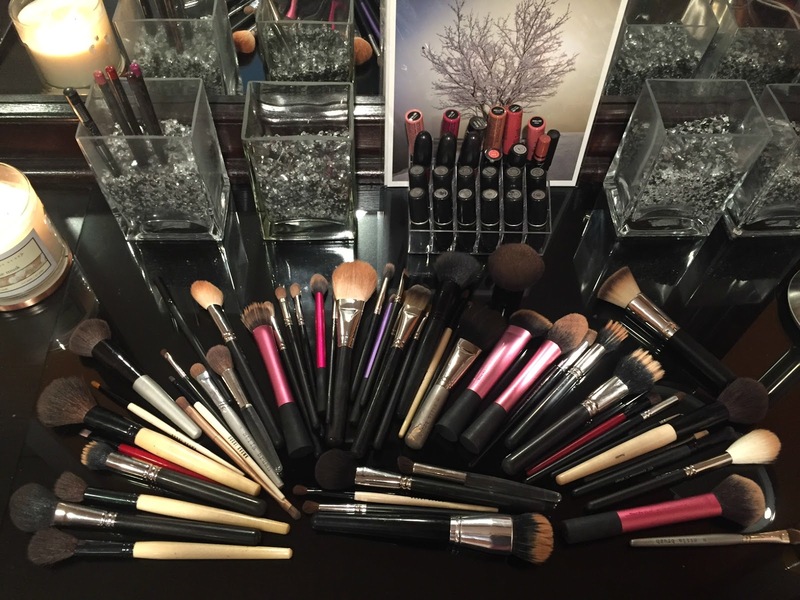 I should be cleaning my makeup brushes at least twice a month (if not, more often). 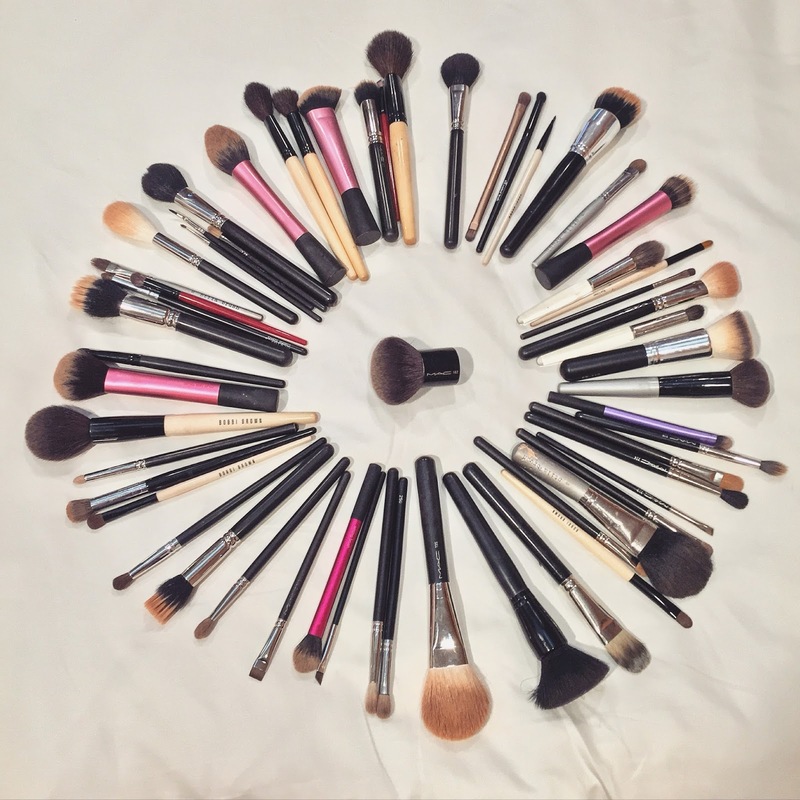 It all depends on how often you use them, if you’re a daily user, you should be cleaning your brushes regularly, at least those you use the most. Makes sense right? You’d be surprised at how often I’ve broken that rule. 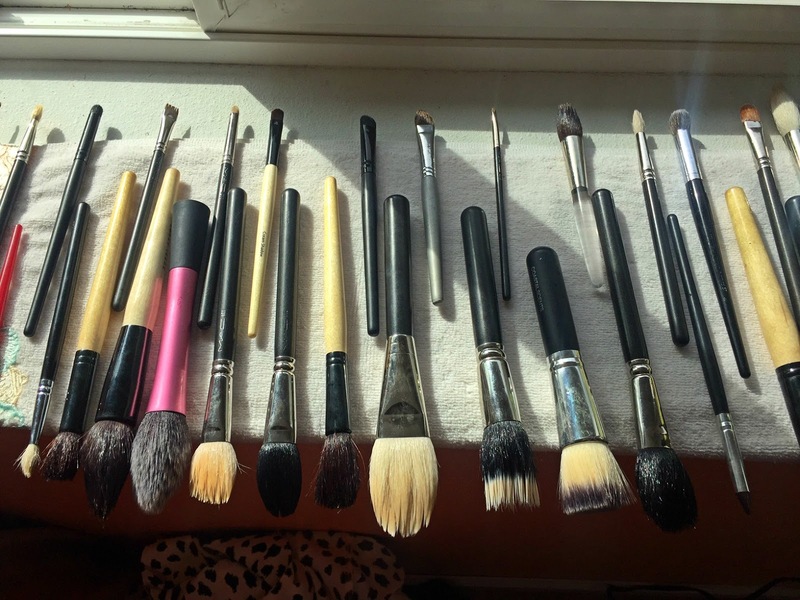 I recently wrote an article on skin care, you would think keeping my makeup brushes clean would be high on my priority list but let’s face it, the process is time consuming and messy. 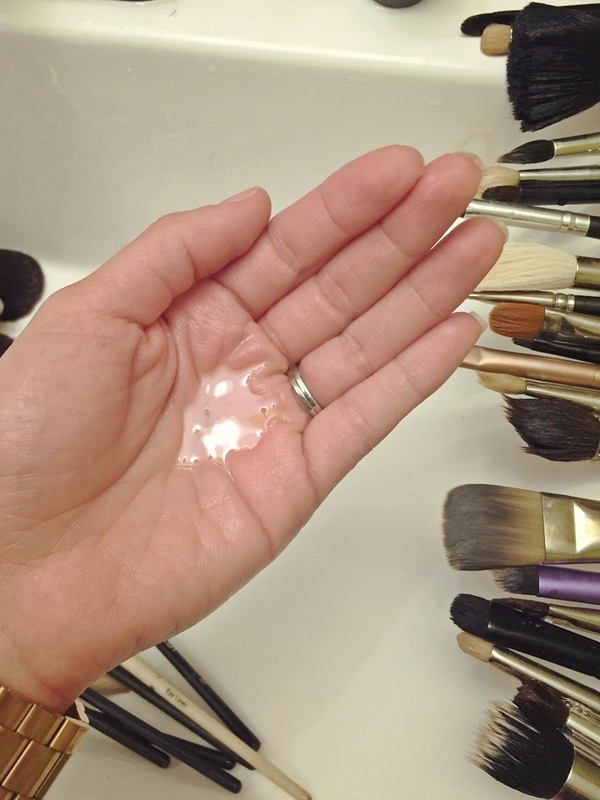 For those who are too busy or are often on the go, I would recommend spot-cleaning your brushes with a makeup wipe until you find some time to do a deep clean. 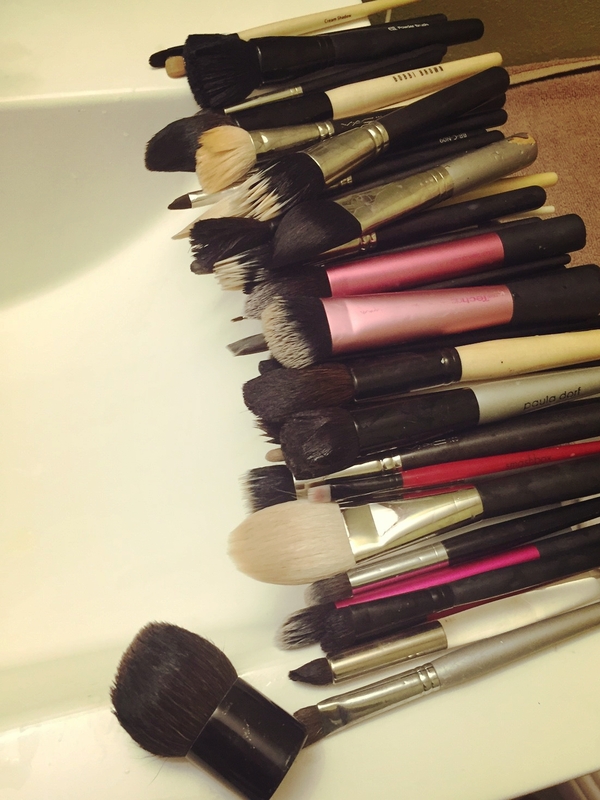 Keeping your brushes clean will not only prevent breakouts and clogged pores but it will also extend the life of your brushes. If you’re a brush fanatic like myself, you know that makeup brushes are a great investment but also can cost a pretty penny. 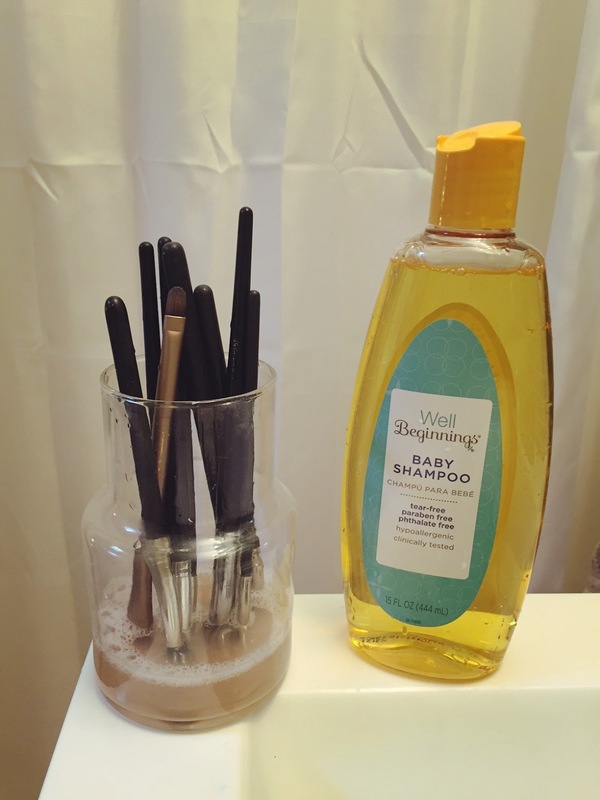 Over the years, I’ve used different brush cleansers and have found that using baby shampoo is not only inexpensive (at approximately $4 a bottle) but the most gentle way to clean makeup brushes (and beauty blenders). See below as I guide you through the process. 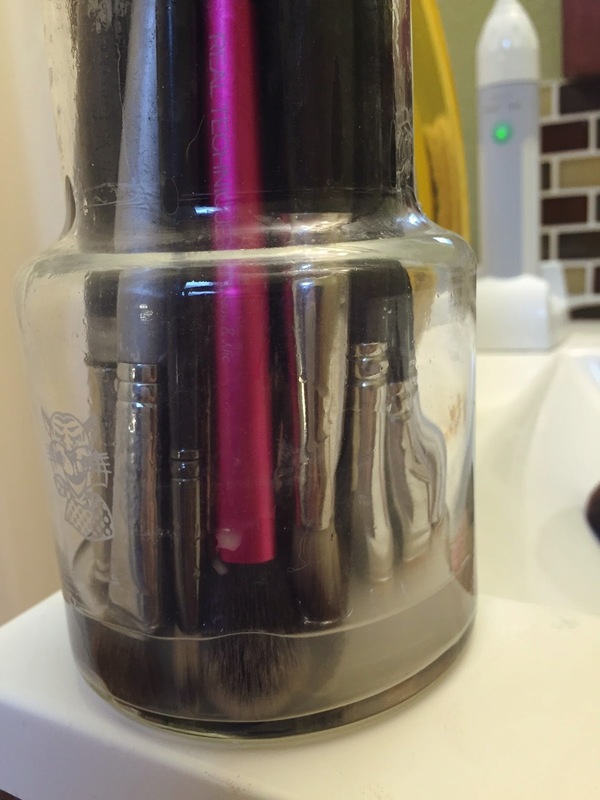 I like to replace the water a few times until the water in the container is a bit more clear before I wash each brush individually. 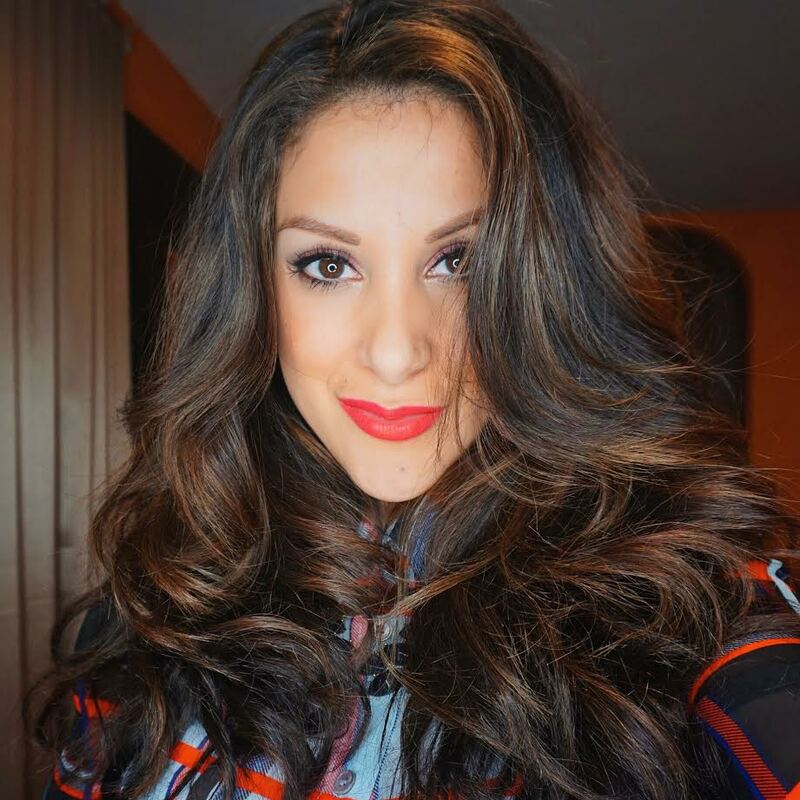 I squeeze a quarter-size dollop of shampoo onto the palm of my hand and without too much pressure swirl the brush in circular motion to allow the cleanser penetrate into the bristles, I rinse with warm water and repeat the process with the next brush. Once water runs clear I gently squeeze the excess water out of the brush, re-shape bristles, and place it on a dry towel. 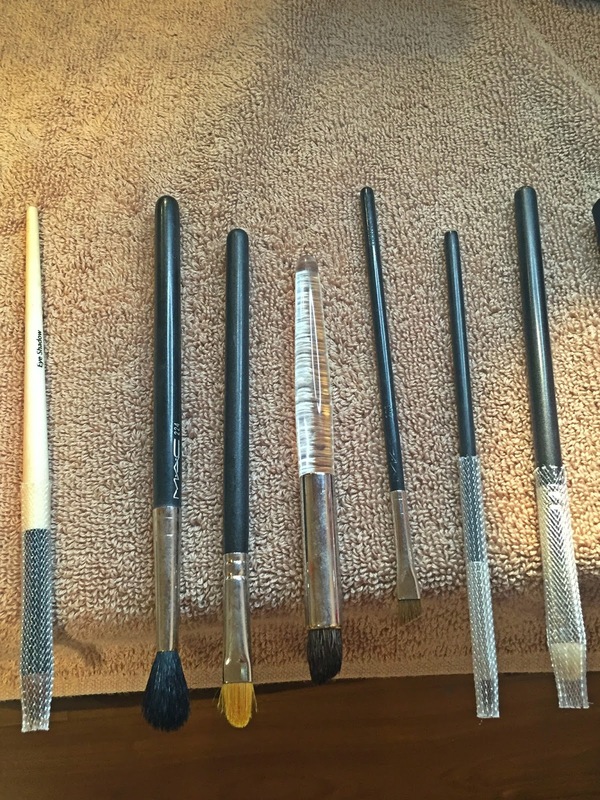 Repeat this process with the remaining brushes. Once all of the brushes have been cleaned, I transfer them onto a new towel and place them so that the bristles are not laying directly on the towel but instead suspended in the air (see picture below). 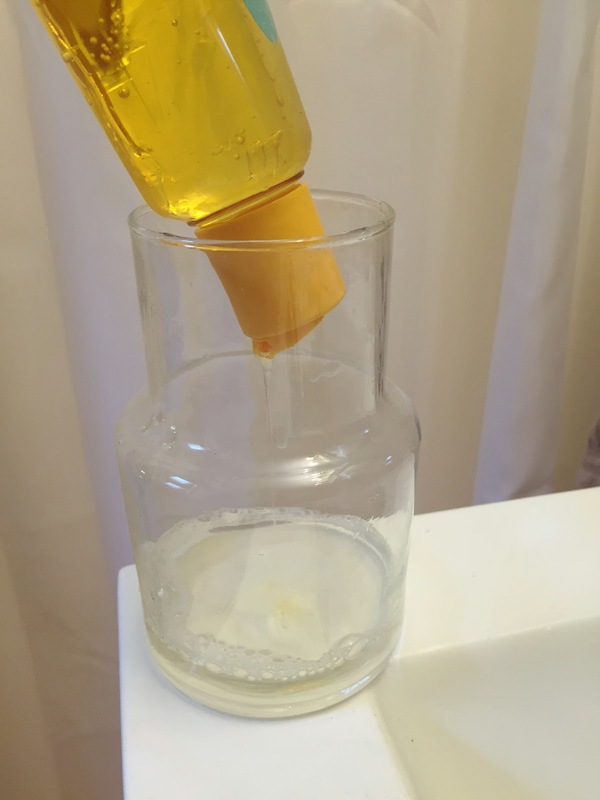 This is to allow brushes to fully air dry and prevent moisture from getting trapped in between the bristles which can cause bacteria and mold to grow. Finally, I like to use brush sleeves (purchased from The Brush Guard) to keep my brushes in shape. These are also great when traveling to prevent brushes from getting frizzy or damaged. 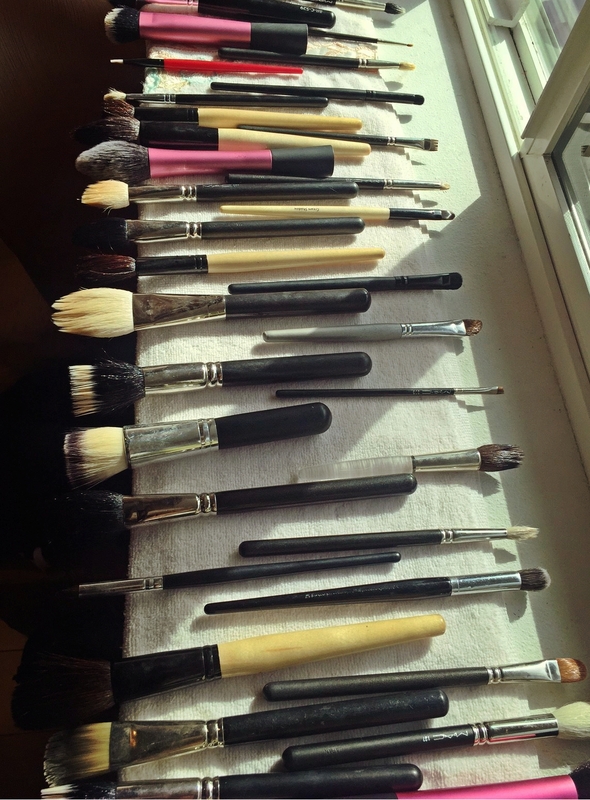 Please note: The process (from beginning to end) took about an hour but you’ll also notice that I washed 50+ brushes. It was definitely time consuming but totally worth it.